There is one more important 20th century Rio Mayo carver that we have not yet mentioned—Héctor Francisco “Paco” Gámez of Masiaca, Sonora. 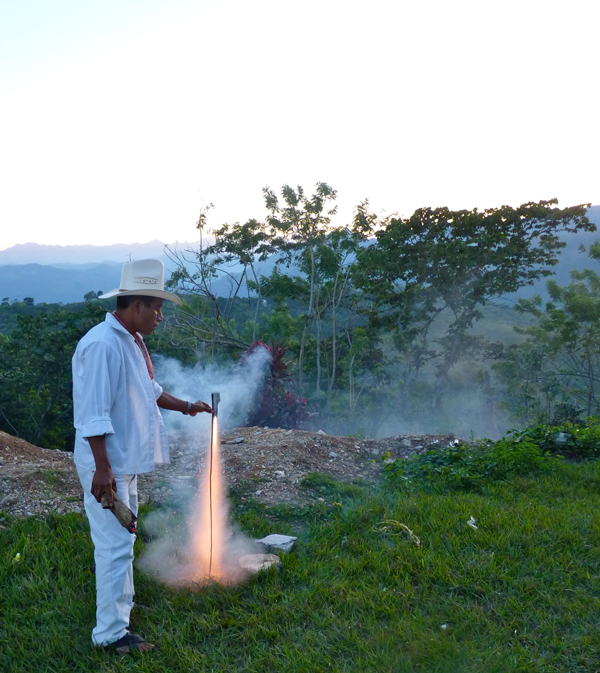 Paco has been a prolific carver for decades, supplying many of the Mayo Pascola dancers. 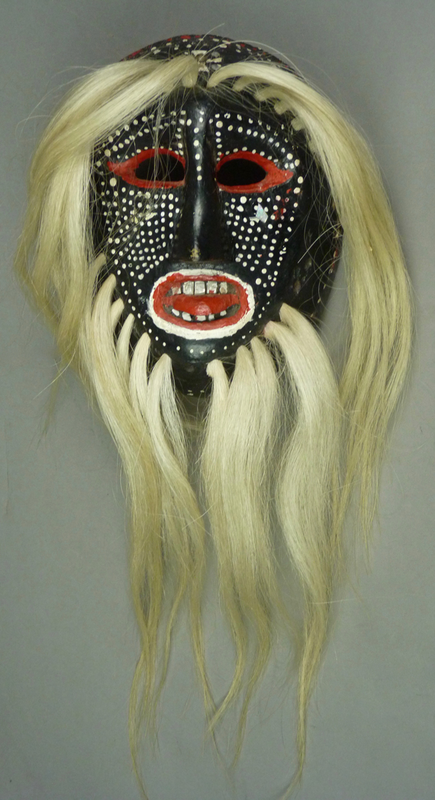 His masks have generally reflected and maintained design details familiar to us from the masks of earlier mid-20th century carvers. However, as a wave of innovation swept Mayo masks in recent decades, Francisco also participated in this trend. 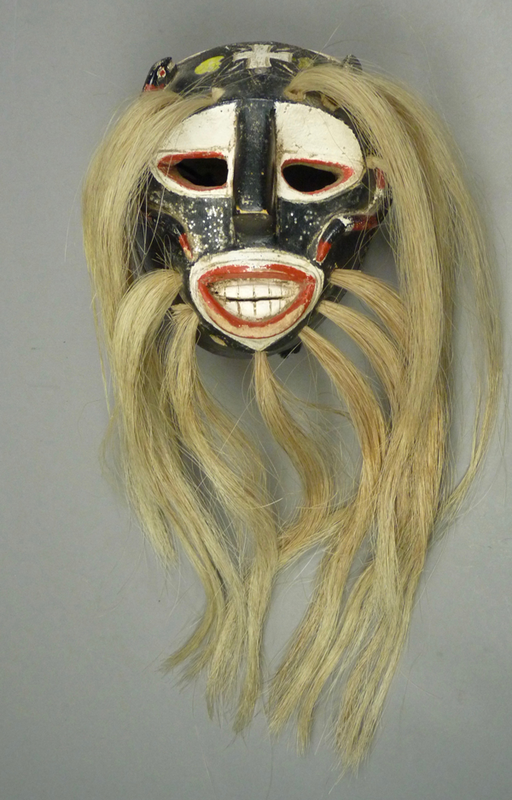 Today I will begin with some of his most traditional masks, examples that proved to be “keepers,” valued and used by Pascolas over a span of ten or twenty years. 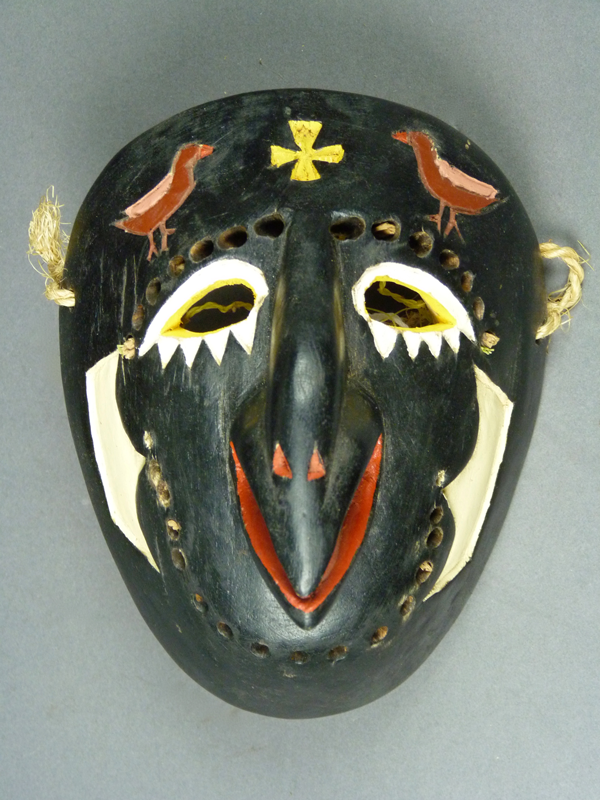 The first of these was probably made in the 1980s, and then collected from its 60 year old dancer, Locadio Yarimea Bacacehua from El Guayparín Bajio in 2008, by Tom Kolaz. I bought it from Tom in 2010. 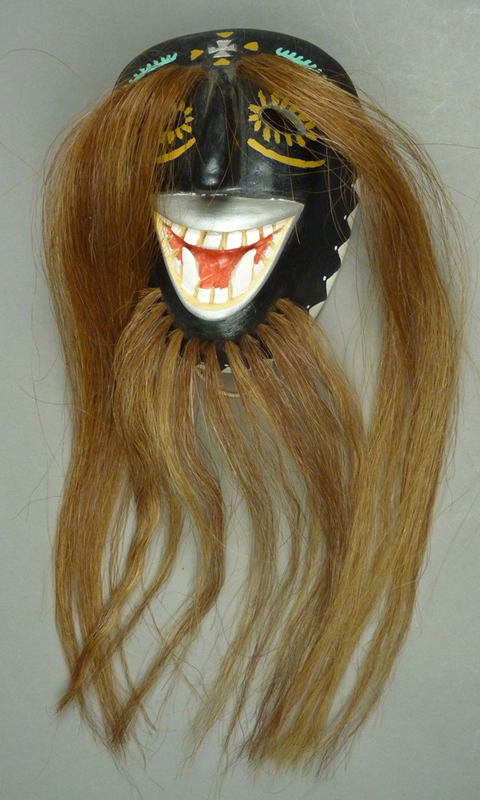 The simplicity of this mask has been ennobled by the deep patina that resulted from such long use, so that the lengthy ritual work of the dancer has been made manifest. How glad I was to be able to acquire such cultural objects. The mouth of this mask glows. 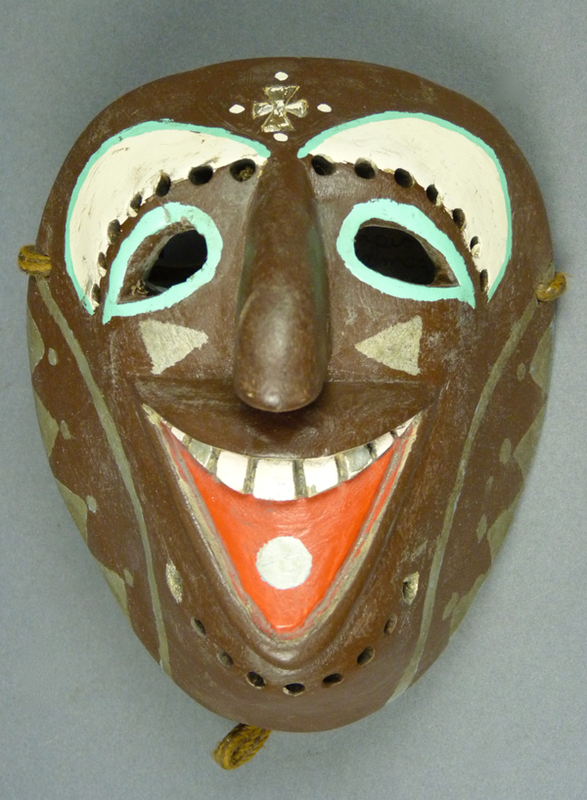 In February 2005 I purchased an attractive and heavily danced Rio Mayo Pascola mask from Karima Muyaes, one of the daughters of Jaled Muyaes and Estela Ogazón. 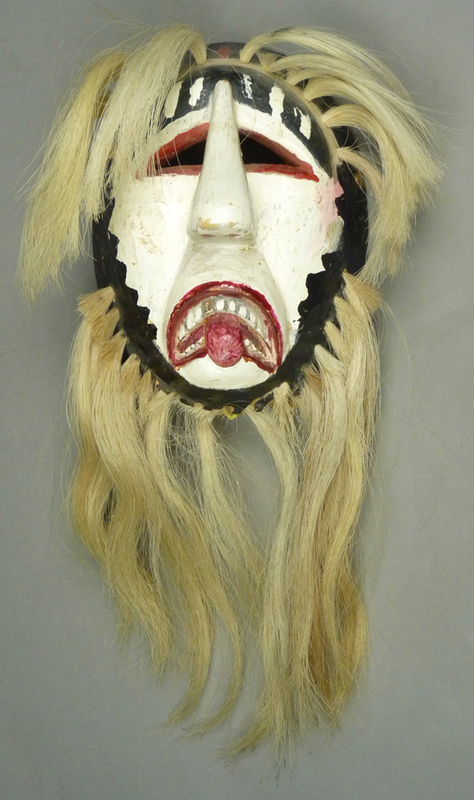 She had recently purchased the mask in Navojoa, Sonora. It came without the name of the carver, nor do I recognize this hand. 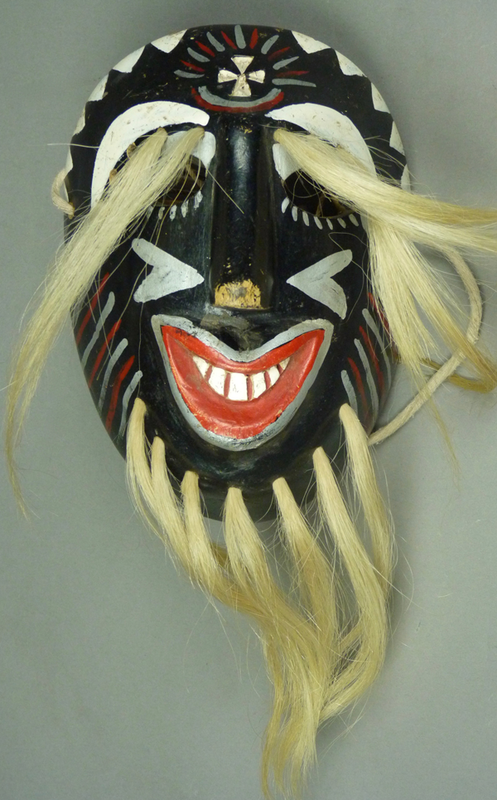 In contrast to the made-for-sale masks that we had examined last week, this one is nicely carved and heavily danced. 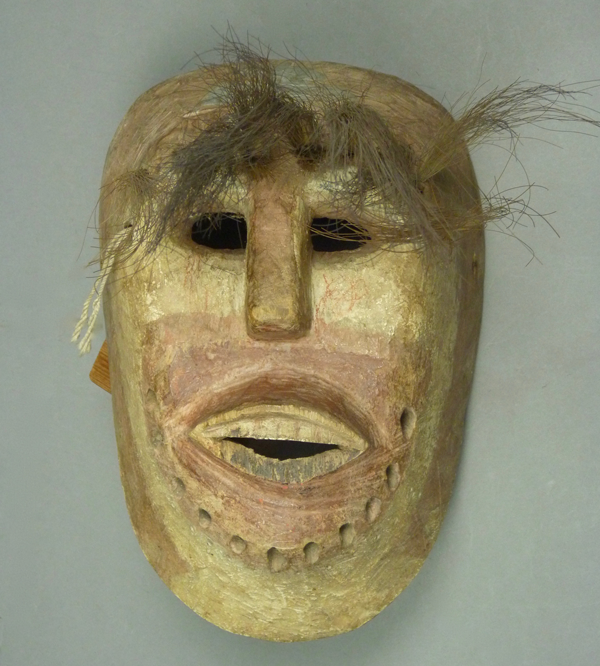 The extended tongue on this mask was carved from a separate piece of wood and fastened in place between the teeth.